“Man. It really smells like pee in here!” I said scrunching my nose, cocking my head downward and to the left, and painfully closing my eyes. 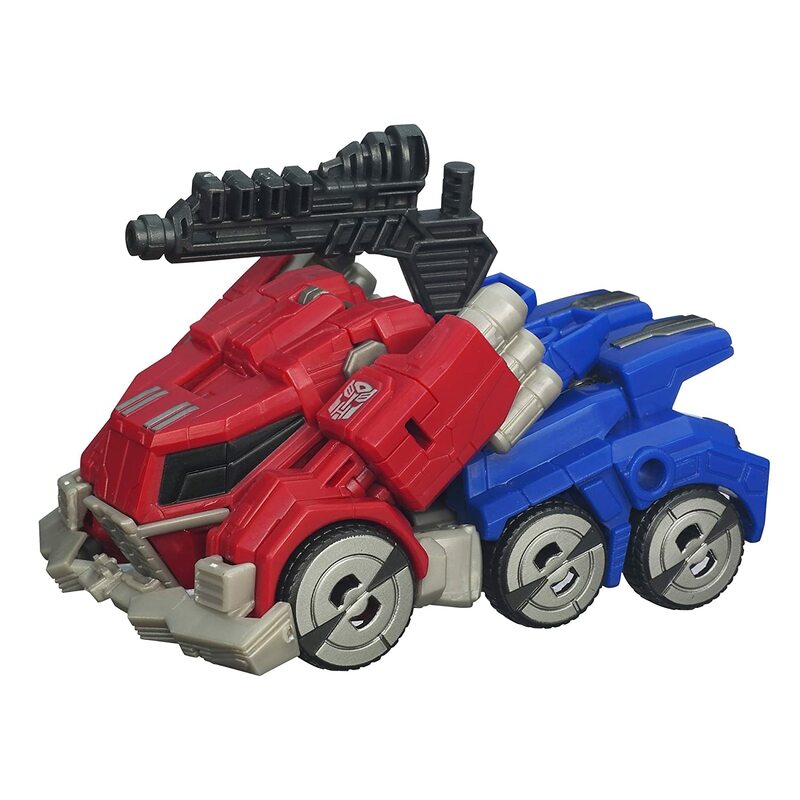 My son, who at the time was five, looked up from playing with his Transformers with a look of absolute bemusement. “AJ, any idea why?” He shrugged his shoulders and quickly went back to insuring that Megatron (not Calvin Johnson… he loves him!) and his cronies were defeated by the Autobots. I proceeded to look through every sheet, drawer, and cubby in his room. Nothing. No soiled item or area. No article of clothing stuffed into a pillow case or sheet crammed in a corner. So I did the only logical thing… I opened a window, hastily sprayed Febreze and left shaking my head. Three days later, while I was out of town, my wife had a similar experience. This time our son watched with the rapt interest one has while viewing an African watering hole at midnight. “Who else is coming? What might happen next?” After rifling thoroughly through his room and strewn belongings, she asked him lovingly but repeatedly why it smelled distinctly of urine. After the third time, it apparently dawned on him. “Hmmm…wait. I know why, mommy. I think it’s because I have been peeing in my floor vent.” Silence. Stunned silence. Yep. Come to find out that for an unknown (but likely multi-week/month) period of time, my man had been using the floor vent as a urinal. I actually Googled it. It’s more common than you’d think. Several hundred dollars and a new duct system later. Let’s put it this way– it’s a good thing she discovered it and I was out of town or we might also have had a broken window or door to put back on its hinges. In that blog, we talked about using your time to write college essays, visit schools, talk to graduated seniors or friends returning home from their first year of college, etc. But we looked at the analytics on that blog and realized that perhaps the clicks on the piece on writing was not as high as we’d hoped. And so I wanted to come singularly back to that part. If you are a rising senior, I’m imploring you to use July to write your college essays and supplemental questions. You have an entire month. Week One (July 1-8): Read the prompts from Common Application and Coalition Application. Consider what you might write about. Think about them when you’re at the pool or the gym or driving (but mainly think about driving). Jot down some ideas. Who knows, you may be inspired by fireworks on July 4, so consider voice recording on your phone. That is how I start my drafts and get ideas out and recorded. Whatever works for you. It does not have to be formal or sequential. During this week also write one supplemental essay for a school you know you are going to apply to. Georgia Tech’s are here. Generally speaking these are shorter and most schools only require 1-3 additional short answer/supplemental writing samples. And many schools simply ask you to submit something you have already written, so consider your options if you find that to be the case for a school you’re interested in. Week Two (July 9-16): Get your first draft done. Chip away. One paragraph at a time. One page at a time. A little bit of time each day. If you know you are applying to a school that does not accept the Common Application or Coalition Application, then you may need to write two essays this week. Not a problem. Allocate an hour a day for that entire week. You got this! Use this week to write another supplemental essay for the same college or a different one this week. Week Three (July 17-23): Get this to an editor (not a co-author). Hint: You should ask them if they’re up for it during week two and tell them they’ll have it on July 16. Check in with them on July 20. “How’s it going?” Have you taken a look yet? Can I clear anything up for you?” Plan to meet with them or Skype/FaceTime with them by July 23. Write another supplemental essay this week. Week Four (July 23-30): Second draft. Take the edits and make your improvements and enhancements. Consider how you can add description or make your essay more unique, personalized, authentic. Write your fourth supplemental essay this week. July 31. Treat yourself. Ice cream, a new shirt, a movie or show. You do you, because at this point you have a long essay and four supplemental essays done. Your editor should be up for reading a few supplemental essays this week, especially if you brought them along for the double scoop or enticed them with an Amazon card. Now use the same method in August for any additional supplementals or long essays. This way as your fall ramps up with sports, school activities, and normal homework and other papers, tests, etc., you’ll be good to go for making October or November EA/ED deadlines. Trust me. Get started! You don’t want admission readers looking for Febreze after reading your essays. We moved last year. I really like our new house. One of the features the real estate agent did not point out but I most appreciate is that the vents are in the ceiling. “That is not a four letter word, Elizabeth,” I said to my six-year-old. “Only four letter words, remember?” Let me back up. I’ve been on vacation in Vermont the last week. It’s been amazing. Cool weather, sunny skies, incredible views of the lakes and mountains. One thing I’ve learned as a parent is that when you go on vacation and are eating out after a long day of travel, you better be prepared while waiting on food. A pack of cards, crayons, books, and worst case, games on the phone. I’d rather exceed the day’s allotment of screen time than verbally lambaste my kid in public. Life (and college admission) are all about decisions, right? So we are playing hangman as we wait for our pizza and we’d agreed to use four letter words. The only issue is that a kindergartener can’t exactly spell them all correctly, and after a day of travel and a lack of food, I forgot to put on my phonics hat, which is how we arrived at: L-E-R-N.
My wife’s calm but firm response, “It makes sense to her.” And a simultaneous eyebrow raise and upward chin flick, which can mean only one thing… yep, the waitress was standing right there. I can’t be sure but I’m fairly confident she spit in my next drink order. And, you know what, deservedly so. I thought about that later in the evening, as I listened to the other three sleep contentedly in our hotel room. Don’t worry. I’m not going to preach on how everyone shouldn’t get a trophy or why “A’s” aren’t that important. Instead, I’m just going to remind you of something very elementary but somehow easily forgotten about your college search process… it’s YOURS. YOU get to fill in the blanks. Ultimately, it’s YOUR word. YOUR solution. Sure, read the guide books; consider where older peers or club members or teammates have gone; go visit that obscure school your crazy uncle advice keeps mentioning. Listen to the advice and opinions and excitement and concern of parents, teachers, friends, counselors, coaches, etc. Remember– the landscape if vast. But more than anything, as you visit schools this summer and fall, as you apply to schools, and ultimately when you decide where to attend, the most important thing is: What makes sense to YOU? Spoiler alert: The categories below are very basic. Probably the things you have already heard or read or are already considering. I’m just hoping that you’ll think differently about the same buckets by constantly reminding yourself that they are YOUR blanks to fill in. LOCATION- Over the last week, I had the chance to visit both University of Vermont and Middlebury College. Separated by only 35 miles, they’re worlds apart in ethos and environment. 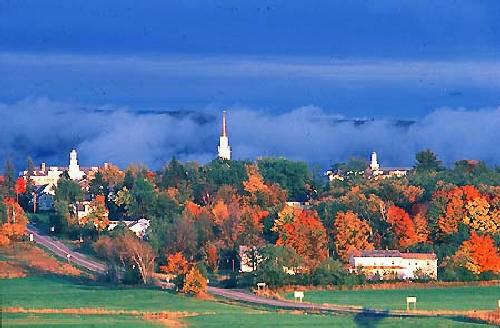 Burlington is the largest city in Vermont at about 43,000. Middlebury is a quaint town of 8400. I know people who proudly graduated from each and would not trade their experience for anything or anywhere else. What is important to you? Do you want access to more restaurants and an airport? Do you want to share the town with tourists and business people and conventions and the other things that bigger cities typically bring? 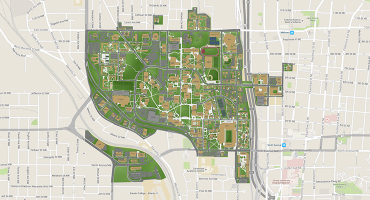 Or do you like the idea of a college town where the students are the lifeblood and the faculty live right in the community? Distinct experiences, distinct dynamics, distinct student bodies. What makes sense to YOU? “Visit in January…and buy a good coat. It takes a year to adjust but I’m glad I’ve come to experience a different part of the country. It’s made me appreciate the South and I also love New England.” She’s thinking of pharmacy school when she graduates. Are you ready for a complete change of scenery (and wardrobe)? Florida feels great in February, but you will not see much of a change of season. Cool (no pun intended)? One of the best things about our country is its diversity in higher education options. You are seeing that with all of the brochures that keep showing up in your mailbox (and writing from Vermont I am contractually bound to remind you to recycle). Consider places you’ve never heard of: check out their Instagram feed; take the exit off the highway on your road trip; Google famous alumni. You have to rule places in and out. That’s part of the process. But be open and be honest with yourself. Lots of voices and opinions will continue to swirl and sometimes amplify, but don’t stop listening to your voice, your gut, your dreams and hopes and goals. What makes sense to YOU? SIZE OF SCHOOL- Do you want to know most of your classmates by the time you graduate? Or are you someone who relishes some anonymity? Do you appreciate close-knit culture and the loyalty and bonds it brings? Or are you excited by a big alumni base? Do you envision graduating on a lawn or in a stadium? Big schools will talk about how they can feel small. Sometimes small schools talk about how they can provide a big school network and experience. But at the end of the day: What makes sense to YOU? Final Tip- use your network. This summer talk to seniors who are about to go off to college. Where did they start out looking? Which schools were at the top of their list last year? Where do they wish they’d visited? And why are they excited about where are they ultimately going. No one person’s opinion is gospel truth, which is why you need to ask and seek opinions from as many people and sources as you can. Use. Your. Network (it’s a life lesson). YOUR college EXPERIENCE. YOUR college CHOICE. YOUR college VISIT. Now– go “L-E-R-N” what makes sense to YOU! But… what do colleges prefer? This week we welcome our Regional Director of Admission for the West Coast, Ashley Brookshire, to the blog. Welcome, Ashley! The better question to ask is “why do we ask students to supply an activity record with their application?” Is it to count the number of hours you spent volunteering at a local hospital? Do we tally the number of times you were elected into an officer position for a club at school? No, on both counts. We are looking at three things: your experiences, the talents you possess, and the skill sets that you’ve developed throughout your high school career. These three items help us gauge your fit and potential impact on our campus. Your experiences inform your beliefs, passions, and ambitions, and ultimately, this is what we want you to bring to our community. What types of opportunities did you opt into (or in some cases, stumble into by chance) and how did they differ from your initial expectations? Have you stepped into a club, trip, or commitment that was outside of your comfort zone? The beauty of a college campus is its ability to offer a more robust list of experiences than most high schools can provide. What experiences are you bringing to the table? I’m not just talking about the stamps in your passport. When we look at your application, we want to see the behaviors that make you open to experience life with new people, places, and activities. A talent is an innate ability to do something, whereas a skill set is learned and developed. Many of the families I speak with seem to focus on talents, but in the admission process, skills sets are equally as insightful (more on that in a moment). I haven’t been a powerful force in a music classroom since learning to play the recorder in 5th grade. I can appreciate that some people have inherent abilities that I do not. If you have talent in art, music, dance, athletics, or public speaking, then you’re likely drawn to these types of activities. What students usually overlook is that you determine how your talents are utilized and ultimately captured on your application. Are you part of a club, company, or team that allows you to hone your craft? Have you created opportunities for others to engage in this activity? From an admission perspective, we’re not looking to fill a class of individuals who were born with special talents. We are looking for students who are motivated to share their unique talents in impactful ways. Skills, on the other hand, are developed. They are practiced, trained, and learned. These can be hard skills (programming, marketing, or painting) or soft skills (networking, time management, perseverance). Sometimes students apply so much effort to developing a skill set that it appears as a natural talent to others, leaving them unaware of the work going on behind the scenes. The skills you’ve cultivated by balancing your time outside of the classroom and working with others will make you a powerful member during the many group projects you’ll work on in college. Enrolling in a summer academic program or college course will sharpen your academic prowess and allow you to accelerate your coursework in college. The leadership skills you’ve gained as a club officer at your high school will embolden you to step into pivotal roles in one of the hundreds of organizations that contribute to our campus culture. As a volunteer, you’ve stayed mindful of those around you and connected more personally to your community. All of these experiences, talents, and skills bring positive value to a college campus, yet all cannot be pursued at the same time. Even in the summer, there are a limited number of hours in the day. So, back to the original question: “which (insert activity here) do colleges prefer?” We prefer that you use your time intentionally in whichever way you feel best engages your interests, utilizes your talents, and allows you to grow as an individual. These are the types of students who will join a college community and thrive both inside and outside the classroom. At the end of the day, we want to enroll a well-rounded freshman class. This is quite different than every student in our class being well-rounded. It means that, as a whole, our class is filled with philanthropists and athletes, musicians and researchers, leaders and employees, and their collective experiences, talents, and skills create dynamic, thought-provoking interactions on our campus. But before you schedule every free moment of your summer, remember: summer should bring reprieve with it. Enjoy the additional time in your day – days are longer and summer doesn’t normally hold the same time commitments as the school year. Take a deep breath, celebrate your achievements over the course of the last year, and catch up on that book or tv series that you set aside during the school year. After all, senior year and college application season is just around the corner. Well, that moment came to the Clark house recently. My son (a second grader) wanted to apply to be part of “Principal’s Council.” This is a group of student representatives who meet periodically to consider ways to improve the school, communicate important messages more effectively, or provide student insight into current topics, issues, etc. Great concept and I fully support it. “I don’t know,” (I thought that answer was not supposed to start so frequently until age 14 or so). So my head immediately goes to his odds. First, you have to believe that they’re going to select a boy and a girl (figuring that was a fair assumption). He showed me the application. A few short answer questions on ideas you have and why you would be a good representative for your class. Thankfully (for him), it noted that handwriting was not a factor for selection. I knew that there were 60 students in his grade. Then I checked the roster to find, interestingly, that they’re basically dead split on boys and girls. We lined up 30 items on the kitchen bar to represent each boy in the class, which took a while. We used salt and pepper shakers, fruits and vegetables, spice jars, and a few pistachios. I had to keep him from assigning specific people to the lemons or broccoli (which he calls “the vegetable that shall not be named”). Then I asked him how many of the boys he thought would apply. Same question from earlier but now with props. (Turns out it was effective, so consider that tactic for future reference.) “Well,” he said, “I know Michael is. And Ryan. And Matthew…” He went on to rattle off another four or five more. “So, do you think it’s fair to say at least 15 boys will apply?” I asked. Ultimately, we agreed on 14. Not sure why he was unwilling to concede that last tomato but for the point of the exercise, I was good with it. “Okay. So, why should they pick you?” I asked. Told you there was a point in every kid’s life when they wish their mom or dad did something else. And, while he did not say it, I figured we had to be flirting with it here. I came to this conclusion not based on incredible parental intuition but more so on the audible sigh and pseudo-violent backward thrust of his head. After he recovered (by eating two of his classmates… I mean jelly beans), it was pretty interesting to hear his responses, as well as to hear him acknowledge how great the other kids in his grade are too. Every time he’d say something about being honest or a good listener, he’d often follow it with, “but so is Jonathan” (or another of this classmates). He took a long, hard look at the other 13 items still on the bar and got out his pencil sharpener to start his application. The next morning, as we were walking up to the school, I told him I was proud of him for applying. I told him even if he did not get picked there would be tons of other opportunities to contribute and make things around him better. Yes, I know, I was laying it on thick. “Okay. Dad. Got it.” And he ran off with one of the “apples” from the kitchen bar. When you are applying to schools you are not going to know absolutely everything about their process or priorities. And you’re not going to know exactly who else is in that year’s applicant pool. But you’re not completely in the dark either. You have the ranges a school provides on their profile; you have last year’s admit rate; you have their mission and purpose,; but you also have the ability to look at public historical information that will provide you additional insight, perspective, and trends if you look at multiple years. Let’s stick with the 7% number or 1/14 applicants selected. At that rate, we’re talking Princeton or Yale. (See selective admit rates here.) Note: It’s possible both are really somewhere in the 6.x range, but no need to split hairs (or vegetables if you’re using your kitchen bar for this exercise). 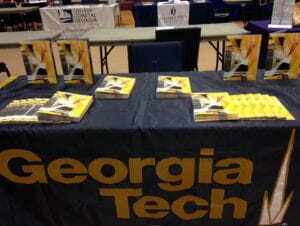 You can quickly find most school’s CDS online (here is Georgia Tech’s) and use it to provide additional context beyond what’s listed in their marketing materials. Here are the ones for Yale and Princeton. Since these are standardized, you can always go right to Section C for information on freshman admission. Section C1: Provides applicant breakdown by gender. Is the distribution equal in applicants or admits at the school you’re applying to? Generally, there is some variance. I’d encourage you to look over several years of data to see if there is consistency or a trend. Does the school currently have gender equity in their class? Does it appear from the data or from their messaging or from looking at multiple years that they’re increasing the number of men or women in their class overall? Section C9: This section provides test score information by band. Note: admitted averages are typically higher than enrolling averages (which is what the CDS displays). So it’s safe to assume that the representation for admitted students in the higher bands is greater than these tables display. In other words, if 75+% of enrolling students scored above 700 on each section, it’s likely that the admitted pool was some number above that. And therefore a lower percentage in lower bands. Section C10: Class Rank. So at Princeton 94% of students finished in the top 10% of their class. At Yale that number was 97%. At Tech it was 87%. While many high schools do not rank, this is still a good frame of reference for understanding the quality of a school’s class. And, let’s be honest, the school may not rank per se, and some may not even provide percentile bands, but you still know where you relatively stand in the class in terms of performance- and how you’ll “read” in an application versus a classmate or someone who may have applied from your high school last year. Feel free to delve deeper into the CDS of any school you plan to apply to. Other sections will give insight on number of students from in and out of state, detailed information on financial aid, size of classes, and faculty degree attainment information. All of these are more data and information that provide context for the admission process, but they also give you a clearer understanding of who is at each institution. But, we’re going to stop with Section C in an effort to keep this blog under 2000 words. Unlike my son, you are not going to know 1/3 of the applicants personally. You won’t be able to put their “trustworthiness” or “entrepreneurial acumen” on a Likert Scale. But you can dig a bit deeper than simple ranges or profiles universities often put on home pages. And doing that is critical to help you better understand the competition and review. If 92% of the students enrolling at a school were in the top 10% (and a higher percentage still in their admitted pool) and you are not, what will help make you part of that other 8%? If a school’s CDS, in addition to their site and materials, is saying they don’t put much value or importance on testing and that is your strongest point within your application, you should be factoring that into “your admit rate” vs. the school’s published number. If they report in their CDS that “demonstrated interest” is not part of their process…it’s not. No need to call or email incessantly, or ask others to do so on your behalf. And lastly, if you are a valedictorian with a perfect test score are you guaranteed admission to all schools? NO. These numbers are helpful, but they don’t tell the entire story. The CDS provides data that reinforces what these schools will be saying in information sessions and outlining on their publications and websites– far more than academics are taken into account at our nation’s most elite schools. Do your homework. Read and research past the first page of a brochure or website. Read about a school’s mission. Check out their CDS. Ask good questions when you are on campus that really help you get to the answers that you need to make a good decision on where to apply, and ultimately where to attend. 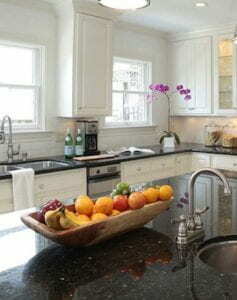 Acknowledge that at highly selective schools the kitchen bar is filled with lots of talent. Lots of far more perfectly ripe vegetables than they can possibly admit. And further, that many factors will be used to make admission decisions, so 100% predictability is impossible. Diversify your school set. I’m telling you the same thing I told my son. Go for it. Apply where you really want to go. But understand that you need to have schools on your list with a range of admit rates (7%-16% is not “a range”); schools that put priority on your strengths; and schools where their data and your interests align. Made the sub-2000 word mark, but barely. Thanks for reading about data over the summer. Now go enjoy the pool.